HDC MidAtlantic recently closed a multi-property redevelopment to rehabilitate and preserve 208 affordable homes. While the specific scope of work varies among properties, rehab efforts will focus heavily on interior upgrades and energy efficiency enhancements. Residents will see new doors, windows and hardware, new cabinetry and appliances such as electric ranges and refrigerators, new flooring and paint, and upgraded, energy efficient HVAC, electrical and plumbing systems inside their homes and in community spaces. Apartments designated for individuals with disabilities will be updated to current ADA (Americans with Disabilities Act) standards and include the installation of new bathroom grab bars and roll-in showers with floor drains, accessible countertops and shelving, as well as new flooring. Residents will also see upgraded safety features like new and improved lighting, motion sensors, property cameras, as well as installation of new smoke and carbon monoxide detectors. On the exteriors, properties will get new roofing, gutters and downspouts installed, repair or replacement of decking materials and railings, and new paint to exterior metal railings. Sidewalks, as well as dumpster pads and surrounds, will be repaired or replaced. Select parking lots will see new ADA van accessible stripping. New lighting and property signage will be installed, and tot lots will see new vinyl surrounds and mulching. Total cost of property acquisition and renovation is just over $21.6 million. 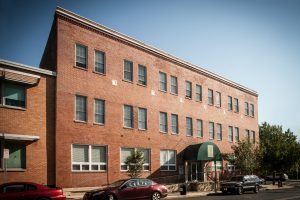 Primary sources of funding include 4% Low Income Housing Tax Credits awarded by the Pennsylvania Housing Finance Agency (PHFA) plus tax-exempt bonds. The equity investor is Cinnaire. Fulton Bank purchased the multi-family tax-exempt bonds issued by the Lancaster County Redevelopment Authority. Additional sources of financing include $600,000 in new CDBG and $950,000 in assumed funds from the Lancaster County Redevelopment Authority, $150,000 in new CDBG funds and $1,074,088 in assumed funds from the York County Planning Commission, $217,575 in assumed funds from the City of Lancaster, and $1,413,750 in recast PennHomes funds from PHFA. Stevens & Lee and Nikolaus & Hohenadel, LLP, provided legal counsel. Architectural Concepts, P.C., was selected as the architect. Benchmark Construction was selected as the general contractor. Construction began July 30, 2018. HDC MidAtlantic anticipates renovations will take approximately six months. 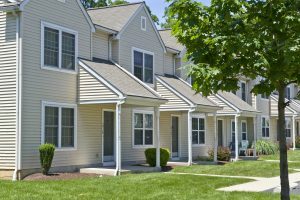 In the news: Housing nonprofit renovating four apartment complexes in Central Pa.